Controversial Kenyan gospel singer Ringtone Apoko has struck again. 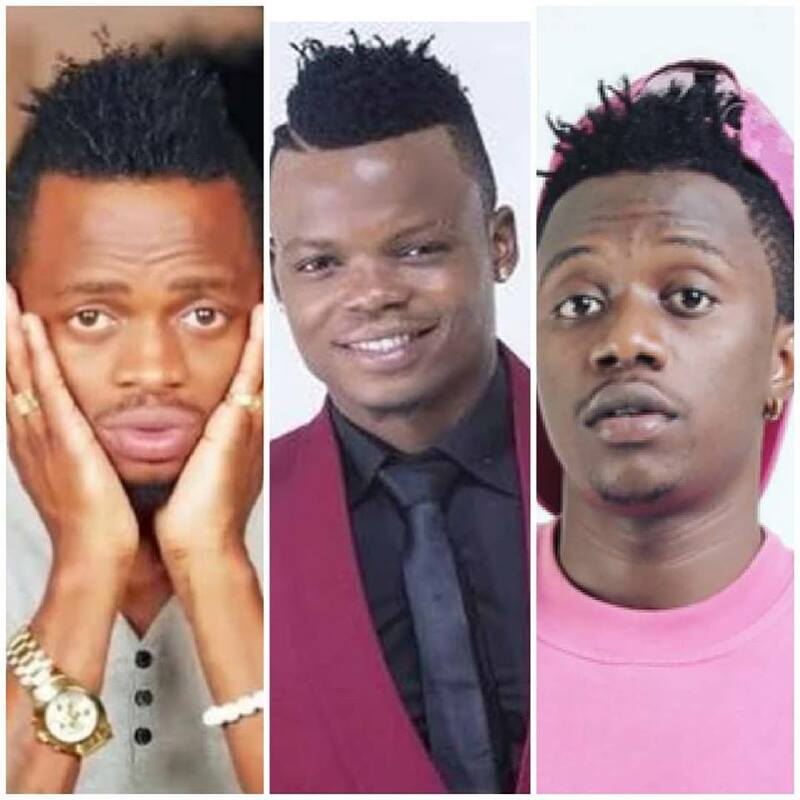 The Pamela hitmaker after attacking Willy Paul has now picked on Tanzanian artistes Diamond Platnumz, Rayvanny and Harmonize. Ringtone in an open letter to the artistes , who’re signed under Diamond’s Wasafi record label, claimed that they were living in darkness. He went ahead to attack them for performing while shirtless at times, claiming it was ‘sinful’. I write to you, not because I hate you, but because I sympathise with you. Imagine the devil is misusing you guys. According na Ile bidii na kazi mmefanya kila siku hamlali kazi ni kutoa mawimbo. Yaani shetani anawazungusha sana. Anawainamisha, anawafanya mvue nguo,mranderande dunia, mkose usingizi lakini kwa kweli mapato ni madogo na hata mkipata Shetani anamake sure mmepoteza na warembo. To be honest if you guys were singing gospel music right now mngekua mabillionare na ma Ranger Rover, ma Lx 570, Manyumba hapo Masaki, ndege zenyu etc. Sisemi Kuishi kijijini, vuvaa mitumba, kuendesha magari kuukuu ni VIBAYA but kwa Ile bidii mmeonesha jamani SHETANI anawaibia jaribu YESU. The vocal artiste signed off by calling upon them to accept Jesus Christ and their lives will never be the same. Yaani YESU ni mzuri sana, nyimbo zangu hazijaenea kama zenyu, sina followers na views kama nyinyi lakini mapato ya Mungu anayafanyia MULTIPLICATION ndio mnaona ninadanga na kutesa Kuwashinda NYOTE Wasafi pamoja. TRY JESUS YOU WILL THANK ME LATER. mc_cecil_kenya Ringtone that was good,but the approach of making Jesus known is not godly. We don’t serve God to get money but to win souls to Christ. min2082 If you are truly a man of God and anointed of the Holy Spirit , go talk to them face to face and the lord will be with you and they will listen to you and maybe be convinced to change and follow the God you serve..biblically you’re not suppose to embarrass the people you want to change publicly!